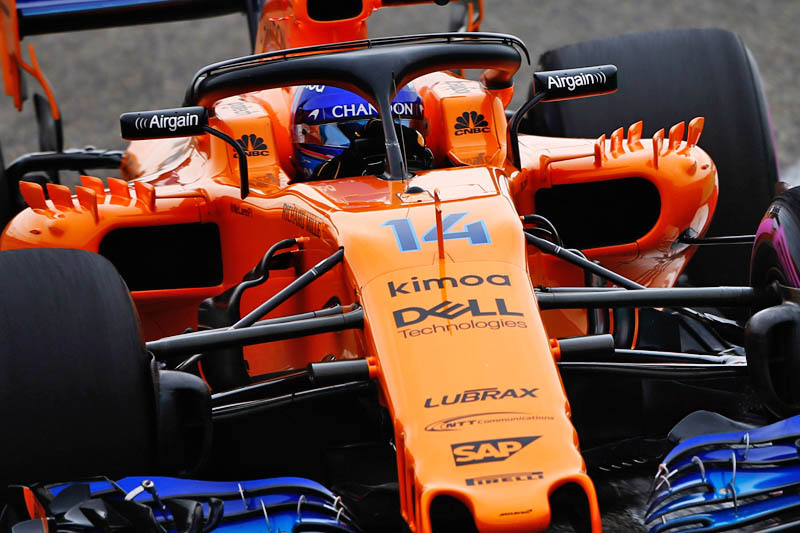 Fernando Alonso has hit out at the penalty he received at Suzuka today, saying it demonstrates the inconsistency in how the rules are applied. Early in the race, while battling with Lance Stroll, the two-time world champion was forced onto the grass by the Canadian at the final chicane. While Stroll was handed a 5s time penalty after the stewards determined that he "made contact with Alonso and forced him off the track", the Spaniard was similarly penalised, the stewards deeming that "although Alonso was forced off the track, he thereafter cut the chicane and rejoined the track thereby gaining a significant advantage". "Even when the driver comes to apologise I think it's difficult to understand the decision," Alonso subsequently told reporters, "but you know, this is how bad Formula 1 is." Asked to clarify what he meant, he replied: "In the decisions, in the randomness, in the pure consistency. "You are braking on the outside at the last corner," he continued, "and one guy didn't see you and came here to apologise after you go on the gravel, and you get the penalty. It's a shame. "He didn't see me," added the Spaniard, who leaves F1 at the end of the season, and who has been a critic of the direction the sport is heading. "If he sees you and pushes you on the grass it's another thing, but it was just an unfortunate situation in a race situation. "It doesn't change much because instead of 14th maybe you finish 12th," he admitted, "but it's the way it is." Check out our Sunday gallery from Suzuka, here. "I actually agree with Fernando this time. While he's maybe a cry baby sometimes, this wasn't fair. My goodness: Just let them race. What other chance did he really have? No one wants nasty incidents. But this punishment is in my opinion crazy. But if I'm not completely wrong, they were racing for the second to last place anyway. So what?" "Every time I see Alonso, I start singing that old Beatles song "You say good-by & I say hello". Hello, hello from an eager fan in the USA." "This comment was removed by an administrator as it was judged to have broken the site's posting rules and etiquette." "Please mister crashgate shut up or go home."